Never underestimate the power of a food allergy mom! 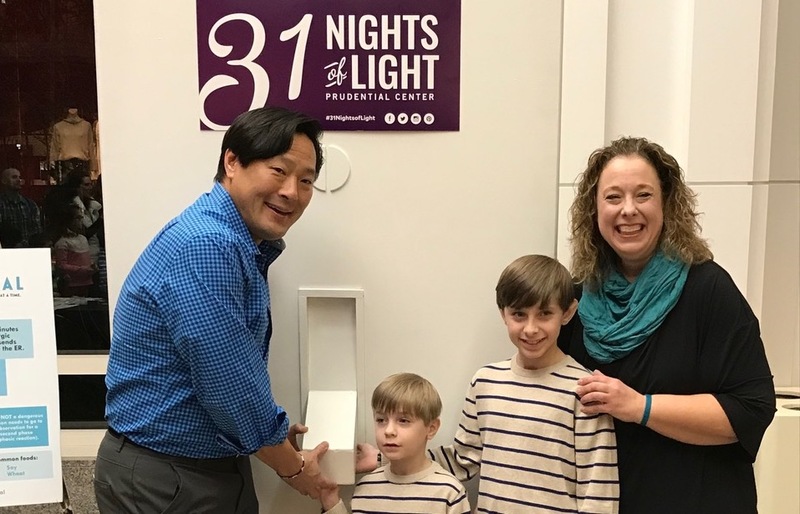 Stephanie Lowe has started a movement that can be seen across the night sky in all corners of the United States and Canada, in Australia and Jordan, helping to raise public awareness for food allergies. If you ever wanted to contribute to the food allergy community or get involved this is an easy way to have a big impact. What is Turn it Teal? Turn it Teal is a movement that focuses on turning the nighttime lighting on buildings, bridges and attractions the color teal during Food Allergy Awareness week, which this year is May 13th thru 19th. Where did this idea come from and how did you get started? One night we were driving home from the other side of Cleveland and saw the Terminal Tower was lit up a certain color. I wasn’t sure what the color represented so when I got home I looked it up on their website which had a listing of what each color meant. On the website was an application form so I submitted an application for turning the building teal. To my surprise, it was accepted! That was 5 years ago. Lots of people have an idea but you actually did it, what came next? The next year we added Niagara Falls to the list, the application process was a joint one between US and Canada. Now I have become obsessed with skylines and assessing building lighting, newer buildings have switched to LED lighting which makes it easier to change the colors so they are more open to participating. Now, throughout the month of May we have 31 buildings and attractions participating in 28 cities across the US and Canada and have expanded to Australia and Jordan as well. 1. Have a building, bridge or monument in your area that you have seen lit up? If you can get us that information then we can look into it and see if it can be done. We don’t know who to contact or all of the potential buildings in a city so local eyes and ears that can help direct us is amazing. 2. Reach out to a building directly, if you know a building manager or find an online application. Fill out the application and you can follow it up with a letter to the building manager. 4. Take a picture! 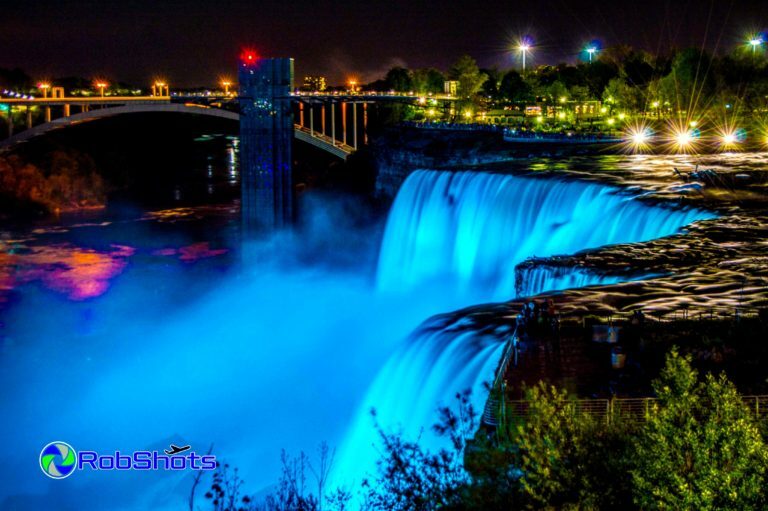 We keep a log of all of the lightings for the year, send them to be included in the post for this years lightings to: info@turnitteal.org Post any lightings you see to social media with #TurnItTeal. My son has multiple food allergies and celiac disease and the hardest part about managing them is the misconception that just because you can’t see it doesn’t mean they aren’t there. Food allergies are a major medical condition that require constant vigilance to manage. Turn it Teal is a way to bring about awareness which means so much to me as a parent. The more people out in the world who understand the seriousness of life threatening food allergies—even if people just know about anaphylaxis, this is what it looks like, this is what you do to help someone—the safer everyone is going to be. Our food allergy community is so great and supportive but we need to extend beyond our community to the whole world. What allergies are you managing? I have 3 children, my eldest has allergies to dairy, egg, peanut and some tree nuts. He also has celiac disease. We have been managing them for a long time now but initially it was totally foreign, we didn’t have the resources or anyone in our family with food allergies. I had to work really hard to make sure my son is well adjusted. Do you keep other allergens in your house? Our house is free from all allergens. How did your previous occupation help you with managing food allergies? Because of my role in Turn it Teal most people assume I have some kind of electrical engineering background, I feel like I could now, but I have a degree in surgical technology. This meant that I had things pretty locked down. I understand cross-contamination with germs, I know my way around a sterile field. I take many of the same precautions with cross-contact of food items. For example, the 3 second rule was never implemented in our house. If it hits the ground, it goes in the garbage. Follow Stephanie @Turnitteal in the Spokin app! Do you have any tips for newly diagnosed families who might not know where to start and how best to avoid cross-contamination? I would say that the place to start is to decide if the house is going to go totally allergy friendly or a co-mingled home. If going totally allergy friendly, I start with a good wash out of the fridge and at least one cabinet with soap and water. I did it a few times because that’s how I roll ;) As for cross contact with actual food, if keeping a shared house, be sure to have separate condiments. That’s a huge spot of cross contact. If looking at products, speak to your doctor about using products which list “made in/processed on” foods as they have the best advice for your child. What do you like most about the Spokin app? I like that it can connect you to local spots that you may not have known about and I also love to be able to see where people have had luck at eating out in places we may visit on the road. Now we’d like to know some of your favorites. Hometown favorite? Four Kids Coffee Shop. Its Top 8 free! Three items always in your cart? We always have Enjoy Life chocolate bars, Sunbutter, Lays chips and PASCHA Chocolate. How about 4 items?